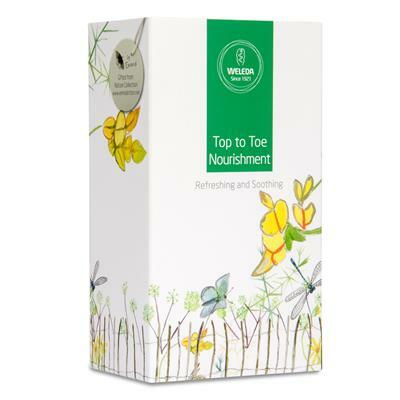 Give your feet the ultimate treat! Top to toe treats! Two award-winning Weleda heroes wrapped in a sleeve for refreshed feet and silky soft skin. Treat tired, stressed skin to a nourishing meal of Skin Food and Foot Balm! Two award-winning Weleda heroes wrapped in a sleeve for refreshed feet and silky soft skin.